Two-Day, Four Session Swim Camp! Sign up for one, two, three, or SAVE by signing up for all 4 sessions! Your clinician for this camp will be Elite Clinician and National Champion Tom Luchsinger. Your swimmer has so much they can learn from him! Scroll down for more details on the curriculum. 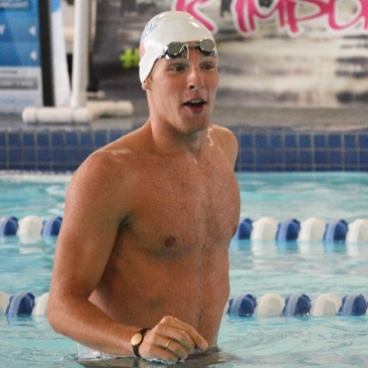 Tom will lead four sessions for swimmers ages 9 and older with at least one year of competitive experience. The start is your opportunity to cover as much ground as possible in a very short period of time, with great efficiency and momentum, heading into your underwater kicking and breakout. There are countless intricacies to performing a start and finish, and you only get better with practice. Your racing skills can be the difference between winning and losing by hundredths of seconds! We’ll have you exploding off the blocks, extending your underwater streamline, and breaking out with more speed after learning from Tom Luchsinger. Starts: How you set up on the block including proper hand and foot placement can allow your swimmer to launch themselves forward with a lot of explosive power. Tom will work with each swimmer to find their best position on the block as well as how to drive their body forward into a tight streamline and enter through a small hole. Underwater Dolphin Kicking: The not-so-secret weapon of elite level swimmers is their underwater dolphin kick. Tom Luchsinger was known as one of the best underwater dolphin kickers in the world and he specializes in teaching swimmers how to unlock their potential in this important skill. Freestyle and backstroke can be challenging for swimmers of all ages and abilities to take to the next level because of the complexity of the technique in both of these strokes! 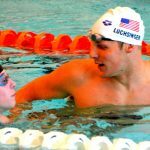 Your swimmer will learn drills and skills to be able to understand the WHY behind each movement as well as feel and apply techniques to race faster in both free and back from National Champion Tom Luchsinger! Freestyle: Participants will reinforce holding a straight and solid body line so that they can cut through the water with less drag. Practice keeping a still and low head position (especially during the breath!) while driving a strong flutter kick. Tom will also teach participants how to get an early and powerful press backwards on the water in the arm pull to get more out of every stroke. From the 50 to the mile, your swimmer will learn skills that will allow them to drop time in every freestyle race. Backstroke: Engaging your core not only allows you to swim stronger, but it also allows you to hold the proper body position. Tom Luchsinger will help swimmers learn the importance of rotation and how to use it to their advantage for more power in each stroke. The arm pull in backstroke should press the water all the way through using the whole arm to achieve maximum propulsion. Backstrokers are often the fastest kickers on their teams, find out why and learn to have a stronger kick! Races are often won and lost because of the quality of turns of the competitors. Many people don't realize this, but the push-off and streamline from the wall after a turn SHOULD BE the fastest a swimmer will go while in the water other than the streamline after a dive. Even elite level, swimmers often add in extra movements on their turns that slow them down and even cause them to lose races that they could have won. At this session, Tom Luchsinger will work with each participant to maintain their momentum at these key points in a race. Flip Turns: Your swimmer will learn how to carry their momentum through the turn to get in and out of every wall faster. Swimmers will practice accelerating into the wall with long strokes and then using their core and arms to get through the turn. They'll practice planting their feet on the wall for a powerful pushoff in the perfect streamline. Tom will give the swimmers drills and exercises to help them master this athletic skill now as well as in the future! Butterfly: Perfect the complexities of balancing power and fluid rhythm in one of the most dynamic athletic movements. Elite butterfliers maintain forward momentum by setting an immediate high catch with a perfectly timed kick. They are committed to a breathing pattern, perfecting their distance per stroke, and maintaining a horizontal body position - Tom will help your swimmer become committed to these same skills to make them their habits every time they swim fly! Standing at only 5'6", Marina isn't the tallest or strongest swimmer in the pool, but at a young age, Marina knew that the only way that she could make it to an elite level was by mastering the underwater dolphin kick. 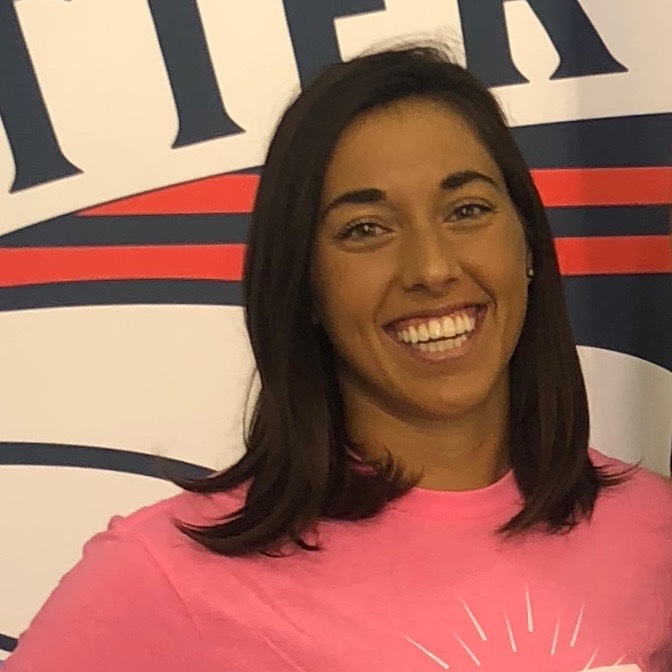 Marina was the Team Captain at ASU under coach Bob Bowman so she has the leadership qualities that allow her to help all of the swimmers at her clinics learn how to utilize their strengths so that they can race faster and with more confidence! Tom is a National Champion in the 200 butterfly. He graduated from UNC with a degree in Exercise and Sport Science. He will teach you how to train more efficiently to maximize your potential in all strokes!